Do you want professional advice on how to create a timeline, a budget, and how to create your design? 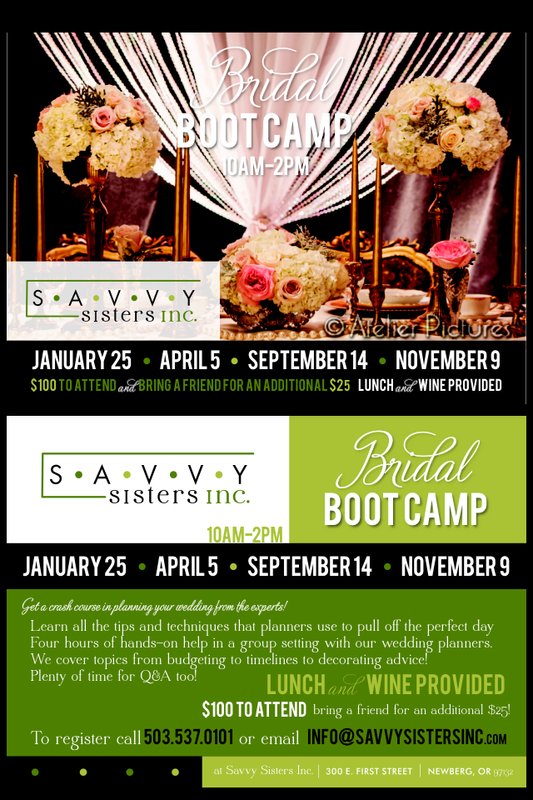 Savvy Sisters is having a four hour bootcamp showing brides reviling secrets only professionals know. The next bridal bootcamp is on January 25th! Registration is $100 for each bride and $25 for a guest which includes not only professional advice but lunch and wine!